I have tried to teach my children that life is bigger than just the individual. I love how the EZF is many people coming together to do something to benefit the entire community. I can't always do everything I would like to, but that’s ok. I do what I can and if you take all those little things we can do together you have something huge and absolutely priceless. Life should not be about look what I have done, but about look what we have done together. The EZF does what it does with honesty and integrity and they do it for all the right reasons...for the love and safety of all our pets. This is why I love the Emma Zen Foundation. 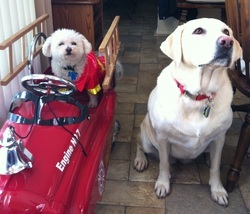 Sparky and Sandy are proud Team O2 PA Members, along with their human Lisa Beltz. 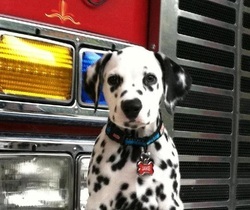 They raise funds to equip Pennsylvania Fire Departments and Ambulance Services with Pet Oxygen Masks. "Knowing my pets are protected, along with the surrounding community has made everyone around here breathe a little easier," said Lisa. "While I have always supported the efforts of the Foundation, I knew I could do more. There comes a time when you need to get involved, to be are a active participant, to be a part of something bigger than yourself and help keep our family pets' safe." 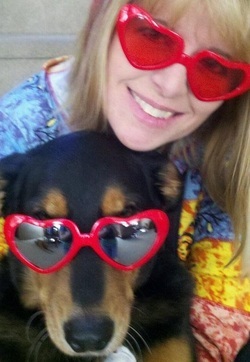 "The EZF is more like a family with one common goal to protect our pets. Its a community. It is a family dedicated to make a difference. There's support, guidance and safety education on a daily basis." It's been fabulous to watch more people getting involved in helping to keep pets safe." There is no "I" in this Team! It's collective. We all support from our hearts. I wanted to help make a difference in my community and we're not stopping either until all departments in Pennsylvania are equipped with this life saving equipment!